Gorgeous green colour steals the show with this magnificent Metallic green Stripe Ribbon in a 9-metre roll. 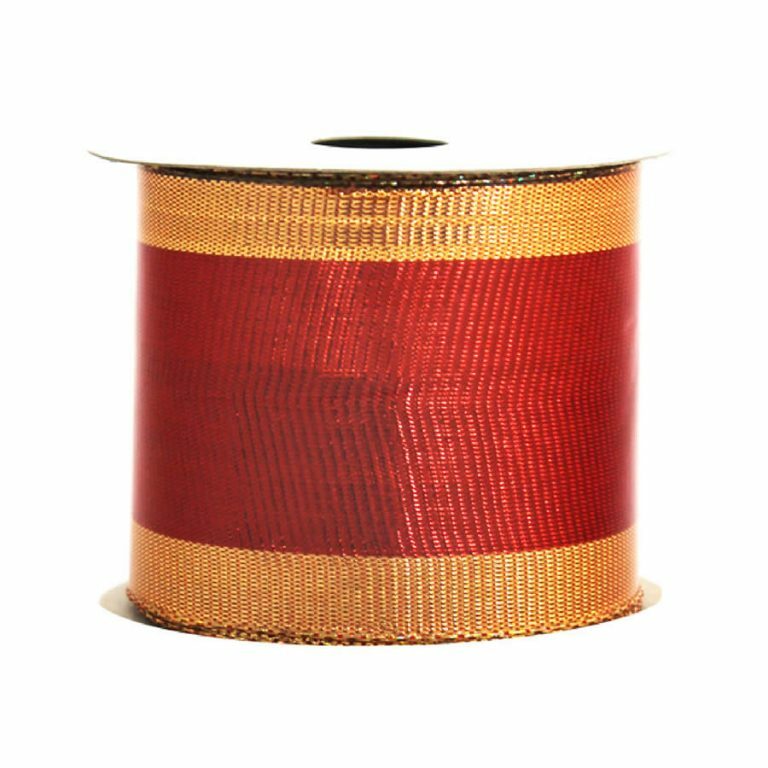 The colour and sheen of this ribbon give you a modern, elegant look that will elevate your wreaths, arrangements, and tree to a whole new level. 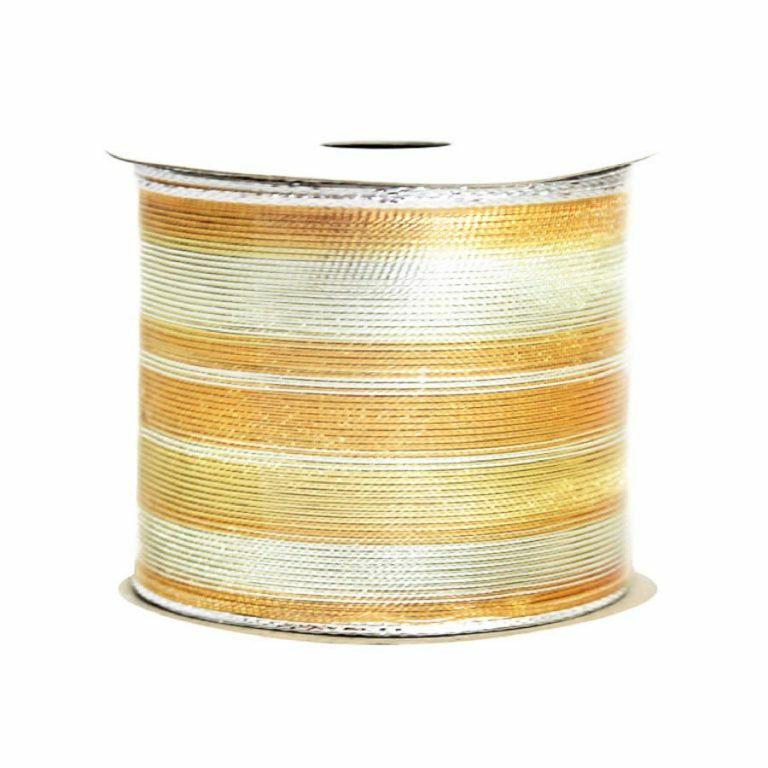 The satin-like stripes give this ribbon texture and depth- also, the colour looks stunning when captured in the holiday lights of your home. 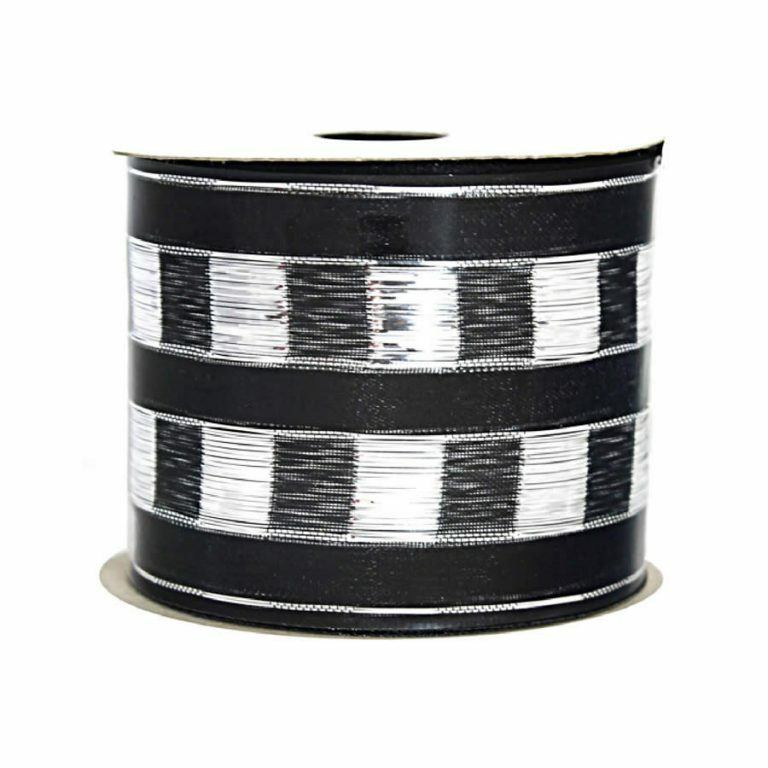 There is a petite braided trim that conceals the wire edging, which is a true convenience and joy to use. This makes it easy to tie, wrap, and drape the ribbon without it coming undone or losing its lustre over time. 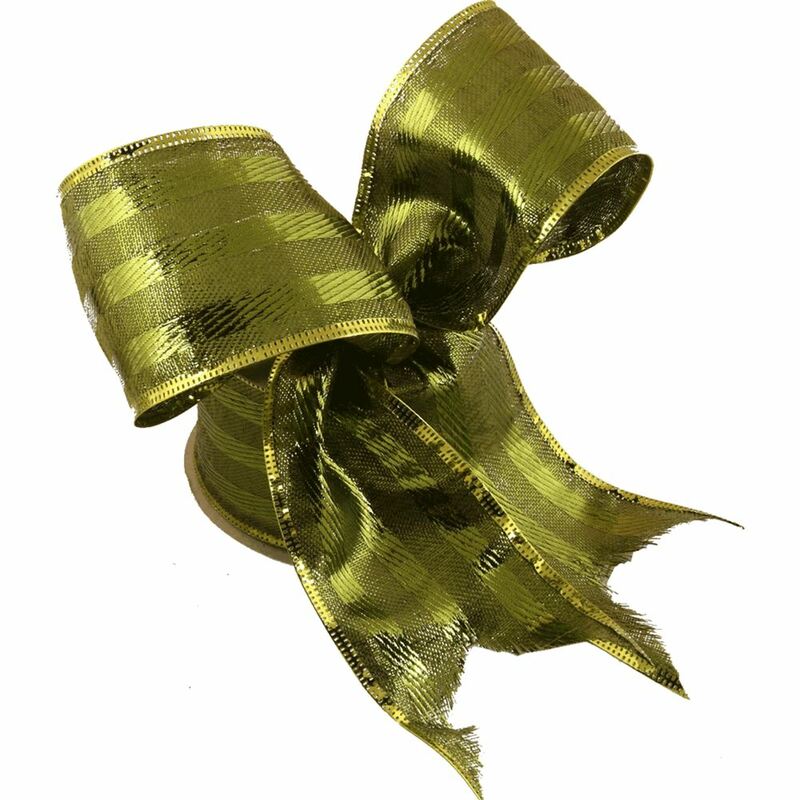 In fact, this ribbon will help you to put together the most long-lasting bows that are far more intriguing and unique than any that you would buy in the stores. 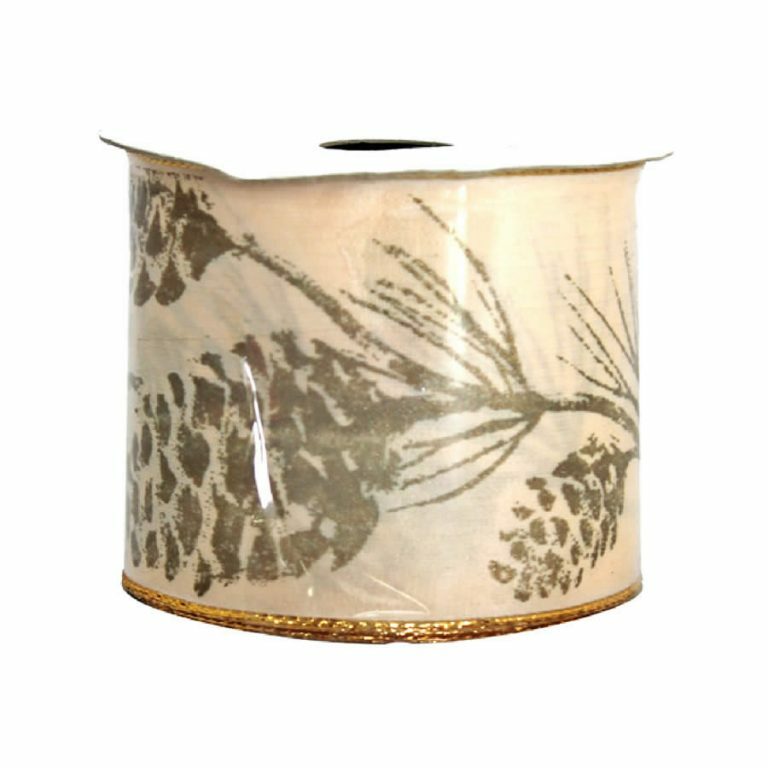 Pair this colour with gold tinsel and LED warm white lights, both offered and sold separately, for a vintage feeling in the home during the holidays.